What is the purpose of the Food Ingredient Dispensers? The food ingredient containers are designed to make it easier for food service employees to have access to the items they need. There are smaller containers that can hold things like pickles, onions, olives, and other ingredients of this size. There are also larger containers that have wheels on the bottom of them and are perfect for storing large quantities of pickles or other similar food items. Also, they have an optional ingredient scoop that can be ordered with them which makes it easier for food service employees to get a quantity of what they need. They can use the scoop to grab pickles from the large bucket, then put them in the smaller containers to use quickly when they are preparing food. This product can be used in a restaurant setting where employees need to have access to food ingredients quickly. 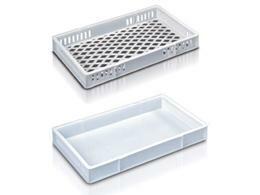 They can be placed in a cooled area where a sandwich maker can reach them and begin making items quickly. Also, the plastic is a food safe, durable, temperature resistant plastic that won't be affected by the cold temperatures. They are also durable and won't break if they are tipped over or dropped. They are also easy to keep clean because the plastic is smooth. The larger storage containers with wheels also come with a clear lid on top of them to keep anything out of the ingredients and also to help employees identify what is inside them without having to look through every single container. 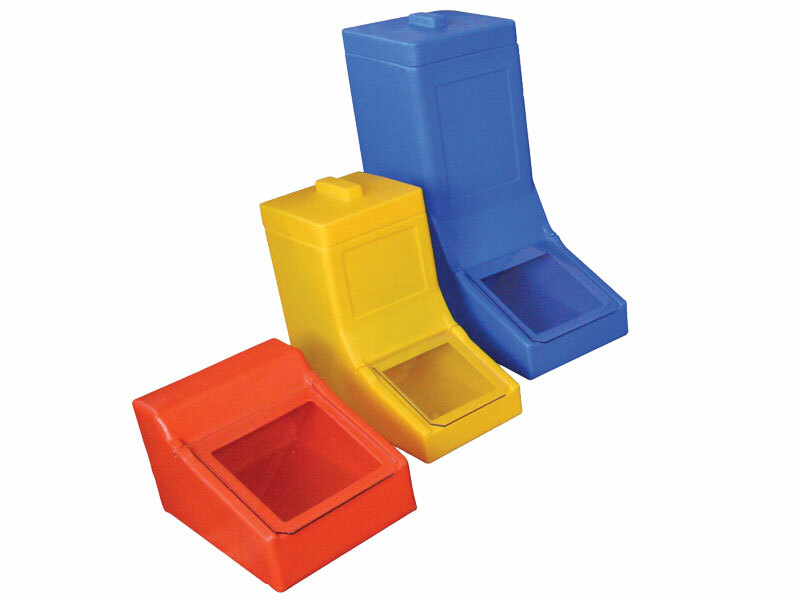 Both smaller and larger containers come in three different sizes and colours, and all of the larger containers have wheels on the bottom of them. People who are going to be using this product are those who work in the food service industry. These containers are a must have for any restaurant where the managers want to ensure employee productivity by making it easier for the employees to get their work done. Being able to locate ingredients by colour coded food containers makes an employee much more productive than if they are searching for something at all times. These containers can mean the difference between preparing a sandwich in 1 minute or 3. The food ingredient containers come with a 1 year parts and labour warranty.